Invite a distributor to your IFS screenings. They just may show up and like what they see. Get your films in theaters with the distributors that best fit your needs. social campaigns -- including two films that have been nominated for Academy Awards. Founded in 2009 by Richard Wolff and Richard Ross – two entertainment industry veterans - Breaking Glass Pictures is a cutting edge, globally-connected media company based in Philadelphia, PA. It focuses on finding a voice for unique independent films from around the world in every genre. BRINKvision (formerly BrinkDVD) is very likely the last real independent film distribution company. Founded in 2001, by indie film pioneer, Danny Vinik, BRINKvision is now enjoying its 11th year of operation continuing to distribute films that are worthy of being seen by a wider audience. With a diverse catalog of titles spanning a wide valley of genres and themes, BRINKvision strives for an audience that, while demanding innovative and original entertainment, knows the struggles associated with that endeavor, and is willing to support the cause. BRINKvision is looking for YOUR films to distribute. Be part of the vision, be BRINKvision. CINEMA EPOCH is a U.S. based distribution and production company specializing in international cinema. Veteran distributor, Hatanaka, has overseen and/or been affiliated with the distribution of over 200 films. The company's annual slate includes 12 films for theatrical distribution and 50 films for ancillary markets (DVD, television, VOD). Cinema Epoch has an exclusive distribution agreement with E1 Entertainment for its DVD releases. CINEMA EPOCH does not accept unsolicited submissions. If you have a film you would like to submit to us, please send an email to acquisitions@cinemaepoch.com with a brief synopsis of your film and other pertinent information such as cast, crew, and festivals/awards. Videos for use in your educational program, business, or community group. Direct Cinema Limited was created in 1974 to serve independent filmmakers. Their films have won 54 Academy Award nominations and 15 Oscars -- more than any other collection of short films and documentaries in the world. In addition, they have won hundreds of Emmy, Cable Ace Awards, Peabody's, Dupont's and other awards. They are dedicated to presenting the very best films in each of their subject areas, and strive to offer titles that are both entertaining and enlightening. Contact their customer service representatives with questions or comments. How to submit a film for consideration: They do not accept unsolicited videotapes. You can send them a short description of your film via e-mail: dclvideo@aol.com. If the description interests them, they will contact you. 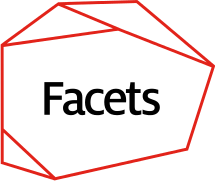 Facets, founded in 1975, is a non-profit, 501(C)3 organization, and a leading national media arts organization. Their mission is to preserve, present, distribute, and educate about film. Facets Videotheque maintains an unparalleled movie rental library of 65,000 titles, available to rent in person or by online nationwide mail-order. Facets Cinematheque presents daily screenings of cutting-edge independent films, international film festival award winners, and Chicago premieres—many of which would otherwise not be screened in Chicago. Facets Film Dialogues connect audiences to filmmakers and other individuals behind the films. The Facets DVD label restores and distributes independent, foreign, and forgotten movies that would otherwise not be available on DVD in the U.S. 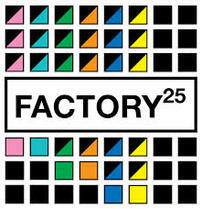 Factory 25 is a home for conceptually provocative narratives and documentaries. F25's mission is to deliver specialized film and music titles in an aesthetically captivating way while exposing the indie world to under-the-radar films, music, and other curiosities theatrically, digitally, on TV, VOD, via subscription, limited edition DVDs with vinyl LPs and books. Recent titles include Frownland, The Color Wheel, Beetle Queen Conquers Tokyo, and Fake It So Real. Factory 25 headquarters are in Brooklyn, New York. Factory 25 is distributed in the United States by Alternative Distribution Alliance. Halo-8 Entertainment is a film, comics, and transmedia studio that marries art with technology, producing and distributing daring, creator-owned media reaching audiences via movie theaters, massmarket DVD, cable-VOD, and digital platforms. The studio is known for integrating film with tech innovations such as the “illustrated film” format designed for GODKILLER. Building on the momentum it generated in 2012 when it acquired Summit Entertainment and launched the global blockbuster Hunger Games franchise, Lionsgate continues to grow its content leadership at a time when the appetite for content is increasing worldwide. Lionsgate’s emergence as a global content leader is the result of its 13-year strategy using a combination of organic growth and strategic acquisitions to assemble the building blocks for long-term success. The Company has also established a reputation as an innovator focused on creating and distributing content for digital as well as traditional platforms around the world and embracing new business models in a dynamic and fast-changing marketplace. monterey media inc., incorporated in 1979, is a privately-owned entertainment company. monterey media is actively engaged in all areas of domestic media, including theatrical distribution, film festivals and other distinctive venues, television, digital delivery, and home entertainment markets. The Company is known for creating unique and distinctive release strategies tailored to each project. By way of example, in 2005, the Company established a joint venture for the creation of a special theatrical event in conjunction with AMC Theatres to launch the motion picture Indigo. Visit their website to explore what types of acquisitions may be suitable for submission. Please email enquiries to acquisitions@montereymedia.com. Drew R. Figueroa, Producer and Founding President of the award winning production company Moxie Films, 20+ film festival and industry awards to date. Figueroa’s film projects have been recognized and represented by industry development, acquisition, and distribution executives. Their mission is to identify world original and unique creative voices in the form of screenwriter, director, and producer. Providing access to industry creatives as advisors, securing private equity, creating and executing marketing and sales strategies that differentiate the project (film) in the market and have a strong hold on the audience. Cinedigm provides film and television to virtually every current and emerging digital service providers including Apple iTunes, Xbox Zune, PlayStation, Hulu, Amazon VOD, YouTube, Netflix Watch Instantly, Sling, SnagFilms, and cable VOD. They work with both big studios and independents to develop forward-thinking strategies and tools to manage the complex landscape of worldwide content distribution. Indie Direct: providing independent filmmakers a full service distribution and marketing solution into theatres. 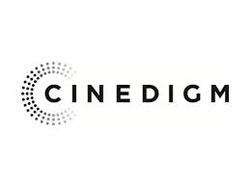 Cinedigm is the leading independent content distributor in the United States, with direct relationships with over 60,000 physical and digital retailers, including Wal-Mart, Best Buy, Target, iTunes, Netflix, and Amazon. Indie Direct provides independent filmmakers a full service distribution and marketing solution into theatres. It is completely customizable and offers fully integrated, high level of service to get films into the marketplace. Since 1998, Passion River Films has been devoted to acquiring, distributing, and representing unique independent films and documentaries. Their award winning and festival favorite features have made their home on shelves of various notable film libraries and institutions. Their deep catalog represents films on nearly every topic including Multicultural Studies, Women’s Studies, Medical Studies and Advances, Religious and Spiritual studies, Environmentalism, Aging, Drug Addiction, Gay/Lesbian/Transgender, etc.. Passion River Films releases documentaries, art house films, and special interest titles. They are devoted to acquiring, distributing, and representing unique independent films. Interested in getting your film into libraries, universities, retail stores and onto VOD? Submit your title to their acquisitions team. They welcome films of all genres. in order to submit an acquisition inquiry. Post production services including DVD authoring for independent filmmakers. RUMUR is an award winning multimedia studio based in Brooklyn. Working in all mediums and using a broad scope of technologies, the company collaborates with high profile clients in the entertainment, news, consumer products, and non-profit industries, to create compelling visual stories. As the lines between film, television, and the web continue to blend together, RUMUR integrates its productions across multiple platforms. Strand Releasing was formed in 1989 and its goal has been to fuse quality art films with commercial product. Strand Releasing was honored with a ten- and twenty-year retrospective at the Museum of Modern Art in New York. Other honors have included retrospectives at the Yerba Buena Center for the Arts in San Francisco, the Seattle International Film Festival, the Provincetown Film Festival and the Eastman-Kodak House in Rochester, New York. With a focus on documentaries and nearly 20 years of experience in launching award-winning films, 7th Art handles sales and releasing in all markets: theatrical and non-theatrical, festival, educational, television, cable, and home video, including digital and VOD. Their expertise and knowledge of the independent film landscape has lead to major festival awards and multiple Academy Award nominations for their films. They also provide consulting and releasing services to independent producers, production companies, record labels, and studios. For consideration for distribution, send your film here attention Shane Griffin. Please note that due to the high volume of submissions, they are unable to return material after consideration. They engage, educate, and increase understanding of human rights using film and digital technology. For over 25 years Skylight has been committed to producing artistic, challenging, and socially-relevant documentary films on issues of human rights and the quest for justice. Whatever the medium, we believe that stories, and the people behind them, are paramount. They create media with people; collaborating with community leaders, grassroots organizations, and NGO’s to create media that tells their stories, and strengthens their efforts. Zeitgeist Films is a New York-based distribution company founded in 1988 which acquires and distributes the finest independent films from the U.S. and around the world. They do not accept unsolicited films. If you have a finished film that you think would be of interest to them (you can see the kind of films they distribute by browsing their website) you can send them a one-page description of your film. Email it to mail@zeitgeistfilms.com with ACQUISITIONS in the subject line or fax it to (212) 274-1644 to the attention of ACQUISITIONS. If the description interests them, they will contact you to find out how they could see your film. But please bear in mind that they distribute only five or six films a year, most of which are acquired at film festivals.